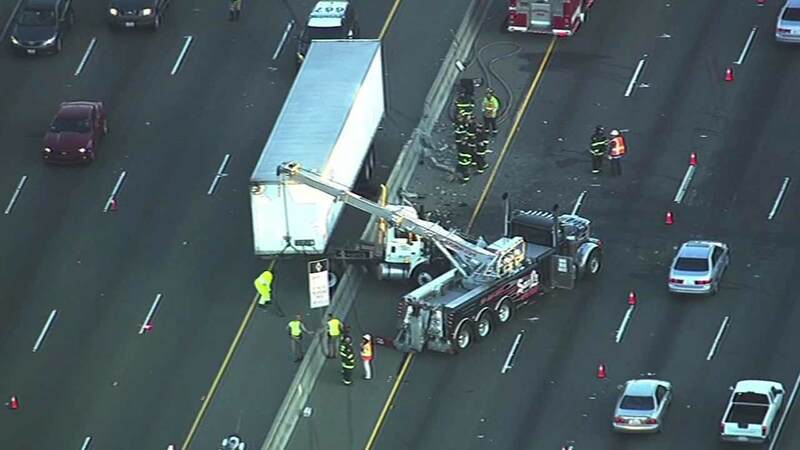 UNION CITY, Calif. -- All lanes of southbound Interstate Highway 880 have reopened in Union City after two separate crashes snarled traffic for the morning commute, according to the CHP. An initial crash was reported in the northbound lanes of Highway 880 near Alvarado-Niles Road at 4:19 a.m. and about an hour later, another crash was reported in the southbound lanes in the same area, CHP officials said. Multiple vehicles were involved in the crashes on each side of the highway, including a big-rig in the crash on the southbound side, CHP Officer Kevin Bartlett said. Bartlett said at least one person suffered major injuries in the crashes. All southbound lanes of Highway 880 reopened as of shortly before 8 a.m., and northbound lanes fully reopened 9 a.m., according to the CHP. No other details about the crashes were immediately available.